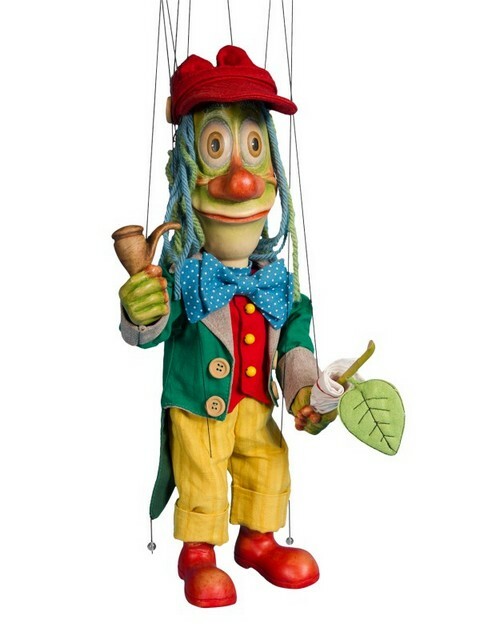 Water-man is original wooden puppet marionette for sale. The puppet is hand carved from wood. The puppet’s clothes are made by hand of natural materials: flax, cotton or leather. The marionette is painted by hand using harmless waterproof paints for children’s toys. The doll can be used for puppet show or as educational toy for children aged 3. As well as unusual Czech souvenir or an original gift.